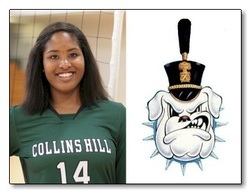 Zuri has verbally committed to play collegiate volleyball at The Citadel, in Charleston, SC, starting Fall of 2014. GO BULLDOGS!! !